STARZ Outlander‘s second episode, Castle Leoch, incorporates large portions of the chapters 4 through 9 (about 4 pages into chapter 9, or approximately pages 81-162) of the Diana Gabaldon novel Outlander, but begins to feel less like an attempt to precisely translate the novel to the screen, and more like an effort to capture the most powerful and dynamic pages of the book, and present them in the best possible way in moving images. In episode two it feels like scenes are shifted in position, aspects and conversations changed. Where in episode one minor characters from the novel did not appear, here it felt like a minor character or two was added to facilitate tension, drama, and keep both characters and the plot on track and focused. And yet, even as I was aware of all of these subtle and nuanced changes, none of them felt as though they were in violation of the book, or characters, but rather like I was simply being exposed to a different and equally compelling edit of the same story — making me glad I’ve already read these chapters, and am now enjoying the STARZ presentation. Outlander is an epic story, set at this point predominantly in the 18th century, but the show uses a nice technique of flashing back to Claire’s twentieth century memories as she tries to adjust to her life, and use what knowledge she has, in every respect, to survive in this new life. 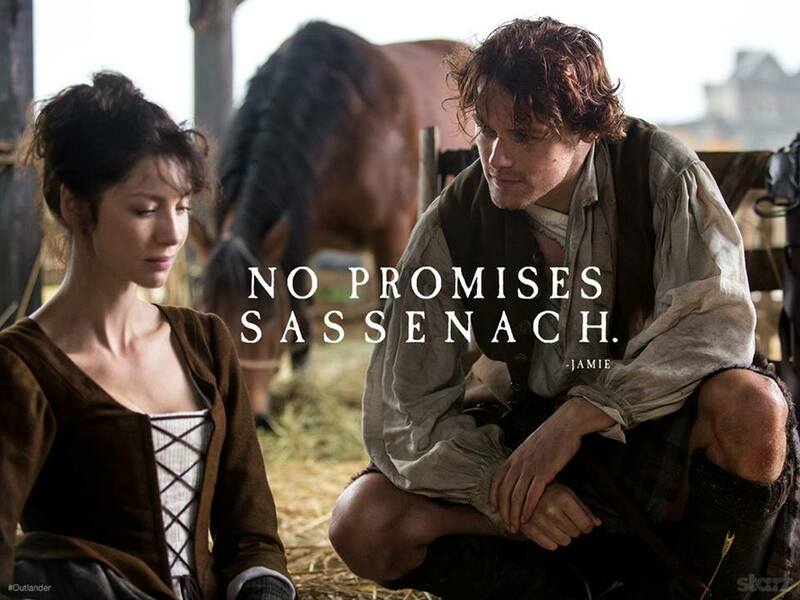 This entry was posted in Novel, Review, Television and tagged Caitriona Balfe, Castle Leoch, Claire, Diana Gabaldon, Jamie, Outlander, PopArtsPlace.com, Ron Moore, Ronald D. Moore, Sam Heughan, Sassenach, Showcase, Showcase.ca, STARZ on August 18, 2014 by A Novel Approach.